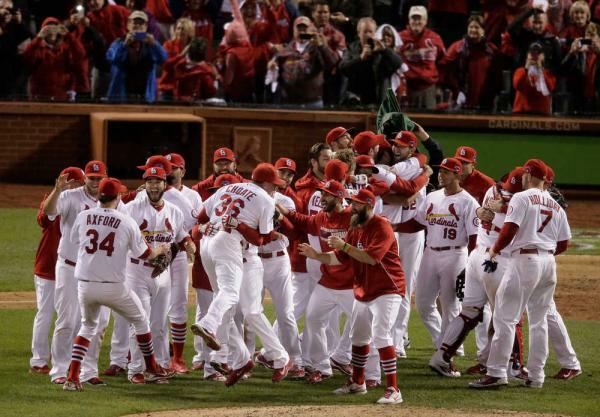 This year will be known as yet another great one for the St. Louis Cardinals, with so much that has happened over the past 365 days — and with so much of it good. Given there are now just today and tomorrow left in 2013, it’s time to take a look back. And as part of the United Cardinal Bloggers’ December project, here are our top five Cardinals stories for 2013. After finishing the regular season tied for the best record in the majors at 97-65 and winning the NL Central for the first time since 2009, the Cardinals didn’t stop once October arrived. They handled the Pirates in the division series and then headed to the NLCS for the third consecutive year, this time to face the Dodgers. The Cards were victorious and clinched the pennant in six games, thanks especially to the incredible starting pitching from NLCS MVP Michael Wacha. So for the second time in three years, third time in eight years and 19th time overall, the Cardinals were National League champions and advanced to the World Series. Their opponent was the other team that finished 97-65, the Boston Red Sox. It was the fourth Series between the two teams and, unfortunately, it finished with the Red Sox tying up the all-time series by winning the second straight match-up. At least it was a slight improvement over 2004, as the Cardinals won Games Two and Three (the latter thanks to the obstruction call that doesn’t nearly seem like as big of a deal two months later as it was at the time). But the real story is them getting there — building on and continuing their success in this truly golden era of Cardinals baseball — and being National League champs once again. 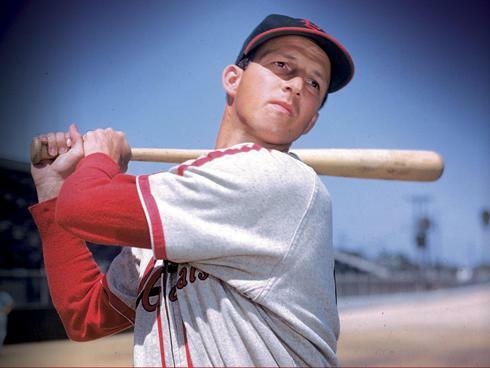 It was a very sad evening for Cardinal Nation on Jan. 19, when Stan “The Man” Musial passed away at age 92. The death of The Greatest Cardinal of Them All had an immediate impact, as it happened during the Winter Warm-Up — here’s a first-hand account from Laura about what that Saturday night was like in downtown St. Louis. Cardinals fans had the opportunity to pay tribute to Stan during a public visitation at the Cathedral Basilica, which Stacy attended and shared the experience. Even the St. Louis Blues honored Stan by wearing jerseys with his name and number during their warm-ups on Jan. 27, although they’d unofficially honored him on the night he died by winning 6-0. The Cardinals wore patches with Stan’s No. 6 on them throughout the 2013 season. They had an official night honoring Stan on April 12 that included a pregame ceremony and even a giveaway of harmonicas and the fans playing “Take Me Out to the Ballgame” on them during the seventh-inning stretch. Of course the Cardinals beat the Brewers — and, fittingly, it was their sixth win of the season. They also had six hits. He’s intrinsic to the Cardinals success, whether on offense or defense and as a team leader, and Yadier Molina just continued to build his value in 2013. He is the rock on which the rest of the Cardinals foundation rests, to re-use a phrase I wrote following his tremendous May when he hit .394/.438/.500 and was second in the National League in hitting. Yadi finished with a team high .319 average, which was a career best for him and third-best in the NL, as well as career highs with 80 RBI and 44 doubles. He even led the NL in hitting for a stretch during the summer, all while handling the 25 different pitchers who took the mound for the Cardinals in 2013. He threw out 43.5 percent of all base runners who were foolish enough to even attempt to steal, and he won his sixth straight Gold Glove. As Tara wrote about him in November, he’s a field manager, directing defensive positioning, and always watching, ready to make any adjustments necessary. Yadi finished third in the NL MVP race, receiving the only two first place votes not given to Andrew McCutchen. And perhaps the very greatness we admire and appreciate is now just the expectation for him. Regardless of awards, we know Yadier Molina’s true value to the Cardinals and, as he continued to demonstrate in 2013, it’s immeasurable. 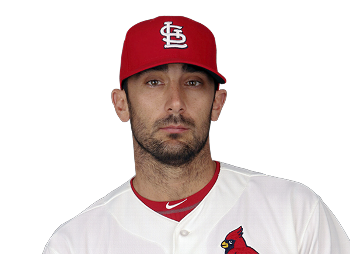 Here’s a nice summary of Matt Carpenter’s 2013: “It’s hard to beat the transformation Carpenter made this year. Not only did he learn a new position — and fare exceptionally well in it — but he also took over the leadoff role, carried much of the offensive weight and went from a ‘probably not an every day guy’ to a fourth place finish in the MVP voting.” The description is courtesy of Tara’s vote for him as player of the year in the Cardinal Blogger Awards, although it really only scratches the surface of Matt’s season. On offense, he finished the season hitting .318/.392/.481 with 199 hits that included 55 doubles and scored 126 runs. The hits were the most in the majors, tied with Adrian Beltre of the Rangers. Just as a point of reference, second in the NL was Daniel Murphy of the Mets — with 188. Carpenter’s doubles total broke Stan Musial’s team record for a season and was the most in the majors as well, ahead of Manny Machado of the Orioles with 51. (Second the NL? 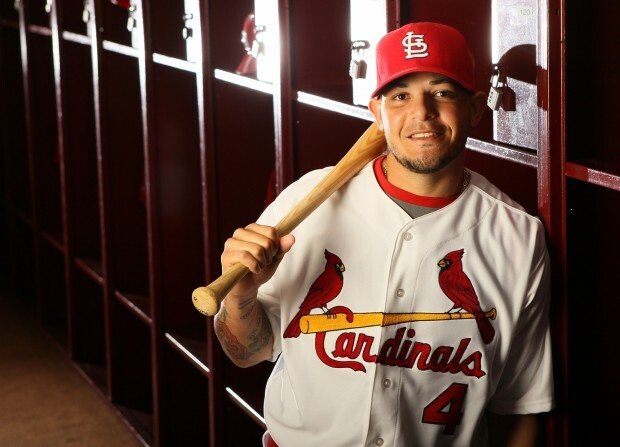 Yadi’s 44.) As for the runs scored, second in MLB behind Marp was Mike Trout — with 109. Shin-Soo Choo was third, and second in the NL, with 107. He finished in MLB’s top 10 for position player WAR at 6.6, which was third in the NL behind Andrew McCutchen and Paul Goldschmidt. In offensive WAR, he finished sixth in the majors at 6.7 and second in the NL behind McCutchen at 7.5. For Carpenter the honor comes just months after he competed for a starting job at second base, a position that he learned through a crash course of work during the offseason. After earning a starting role with a stellar spring, Carpenter has thrived with the everyday opportunities. We now know he’ll be moving to third base, his natural position, for 2014 — and we look forward to seeing how he follows up this break-through year. While Matt Carpenter was the breakout star of the regular season, Michael Wacha was without a doubt the star of late September and October. The Cards top draft pick of 2012 and No. 19 overall — with the pick, as we all know, coming courtesy of the Angels signing That Guy Who Used to Play First Base — made his big league debut on May 30 against the Royals and was impressive, allowing just one earned run on two hits with six K’s in seven innings. His second start was not as smooth, though his third was better, but he was sent back to Memphis until August. He spent that month in the bullpen, rejoining the starting rotation in September. He had good starts, one bad start at Colorado on Sept. 19 — and then came Sept. 24. Wacha was oh-so-close to a no-hitter against the Nationals, allowing just one ninth inning hit. The stakes were a little higher in his next start, since it was the win-or-go-home Game Four of the NLDS against the Pirates at a raucous PNC Park. Yet the results were nearly identical — a no-hitter for 7 1/3 innings until Pedro Alvarez launched a home run to cut the Cardinals lead to 2-1. Carlos Martinez and Trevor Rosenthal took care of the rest. And if the national audience wasn’t paying attention during that series, they definitely came to know Michael Wacha during the NLCS against the Dodgers. He matched up against 2013 Cy Young Award winner Clayton Kershaw in Games Two and Six and pitched 13 2/3 scoreless innings, striking out 13 and allowing seven hits on his way to being named series MVP. He upped his October record to 4-0 in Game Two of the World Series, then pitched what ultimately was the Series finale in Game Six. 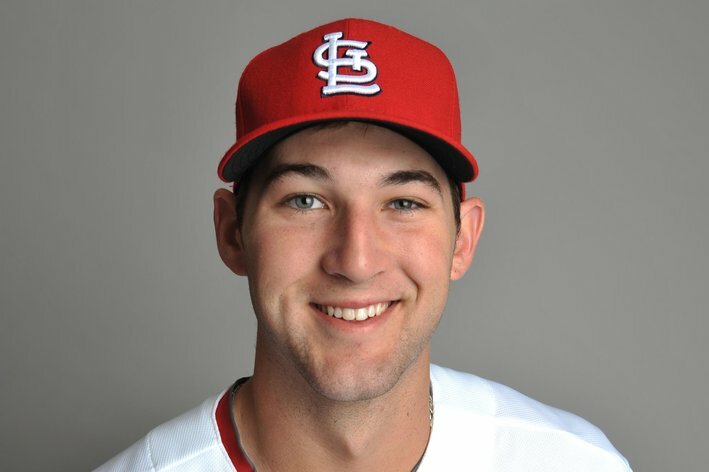 He was a very easy choice for our first Cardinal Love Letter of the off-season, and we’re very much looking forward to what a full season of Wacha will be like in 2014. These are our top five choices, although there are obviously so many more things that were newsworthy in 2013 as well: Adam Wainwright’s season, Chris Carpenter’s retirement, Allen Craig’s ridiculous runners-in-scoring-position batting average, the team’s overall crazy RISP average, the success of the other rookie pitchers not named Michael Wacha, the trade of David Freese — so much happened. And now it’s onto more stories, and hopefully similar or even better success in 2014. This entry was posted in 2013 Season and tagged Matt Carpenter, Michael Wacha, NLCS, Postseason 2013, Stan Musial, World Series, Yadier Molina by Christine Coleman. Bookmark the permalink. I love my St. Louis Cardinals! What a great posting to remind Cardinal Nation of what an amazing team we have. Here is a post I wrote about our birds on the bat: http://carrieleigh10.wordpress.com/2013/12/28/pride-poem/. Enjoy!